Whether its a hybrid solution (batteries with the use of the grid power) or total stand alone power systems (off grid), PSI can provide customised solutions for our clients. In Melbourne, power outages can be common in some areas. We can assist you to ensure that you are not affected when a power outage occurs. With residential and commercial systems available and with great finance rates and a rent to own package, installing batteries has now become affordable. Whether you have an exisiting solar system or looking for a new battery storage solution, the Redback Smart Hybrid Unit is the answer. The Redback Smart Hybrid Unit is the complete all in one solution which includes the hybrid inverter, battery charger and lithium Ion batteries. The best feature of the Redback Smart Hybrid Unit is that when the grid goes down, your batteries will keep powering you. A great solution for your home or office. Our Off Grid solution for our customer. With careful consideration and consultations undertaken to work out what our customer expected and required, we designed and installed a 48kWh battery system with a Selectronic and 2 x ABB inverters. 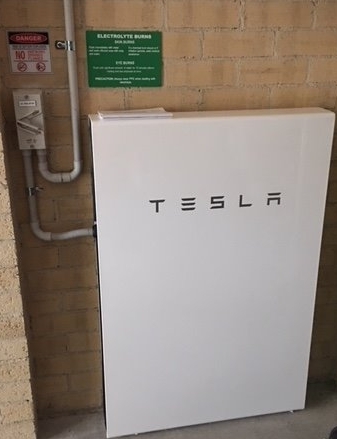 As a partner with Tesla, we can provide a battery solution for either home or office. Now with PowerWall 2 and the Power Pack 2 versions, a flexible solution can be provided based on the customers individual needs. We have vast experience in installing Tesla Solar Systems. If you would like further information, please contact us 1300 388 674.